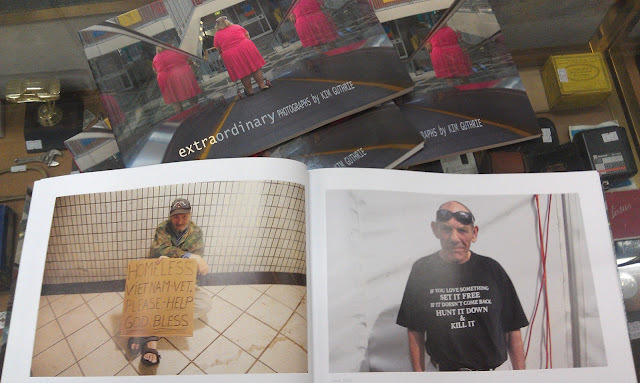 Kim recently dropped off a bunch of his photography book entitled, 'Extra Ordinary' which is a collection of portraits and scenes from around QLD. You might see some familiar faces or recognise some places around the Sunshine Coast. You can now buy 'Extra Ordinary' from the Time Machine for $12 each. "I think of my work as impartial critical observation of the world frozen with a camera. I get great personal satisfaction from the interaction photography allows me with total strangers and situations alien to me. Carrying a camera is like owning a magic key that unlocks gates to the inner worlds of people and places. In this age of limitless hype and phony celebrity I think it's good to remind yourself that you only have to scratch the surface of the image that most people present to the world to discover we are really all one."